Here’s a rare Deuce body style, the Sport Coupe. Ford built fewer than 3,000 units in the USA. The Sport Coupe featured a wood and fabric top resembling a Cabriolet, but fixed in place. 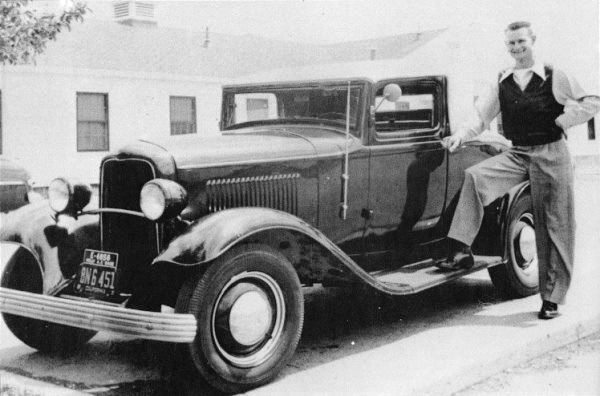 This one is tricked out with a shaved grille shell, accessory headlamps, and a ’37 DeSoto bumper.